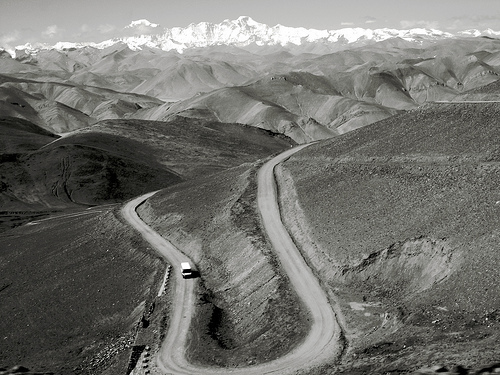 All fourteen of the world’s highest mountains have one thing in common. The death zone, a place where there isn’t enough oxygen to sustain human life. This altitude is generally tagged at around 8000m (~26,000ft), and the fourteen highest mountains in the world are all over 8000m. At this altitude, the human body cannot acclimatize. Bodily functions deteriorate, leading to loss of consciousness and, ultimately, death. All fourteen summits are located in the Himalayan and Karakoram mountain ranges in Asia. While there are no universal criteria for distinguishing a mountain summit from its smaller subpeaks, this generally accepted list falls within a topographic prominence cutoff of between 200 and 500m (610 and 1524ft). What that means—even though many of the mountains’ subpeaks are more than 8000m, they are not included as separate peaks. On 16 October 1986, Reinhold Messner became the first person to climb all fourteen 8000ers. As of 2011, only twenty-three people have undisputedly accomplished this feat. Many have died in the pursuit. My relationship with Everest began in 1999, when I read Jon Krakauer’s Into Thin Air, a personal account of the 1996 disaster Everest is so notoriously known for. Since then, I’ve been fascinated with the mountain—one of the reasons I spent an academic semester in Kathmandu was so I could simply be near it. The most popular route up Everest is via the South Col. Assuming you climb with a professional expedition team like Alpine Ascents or Mountain Madness, the acclimatization period and climb will take about six to eight weeks. With permits and gear and flights and other expedition costs, the experience will run you between $70,000 and $90,000. During the Great Trigonometric Survey of the 19th century, the policy of mountain-naming was to use local names wherever possible. K1, or the first peak of the Karakoram range, was found to be known locally as Masherbrum. K2, however, was a more remote peak and did not have a local name, so the trigonometric name stuck. 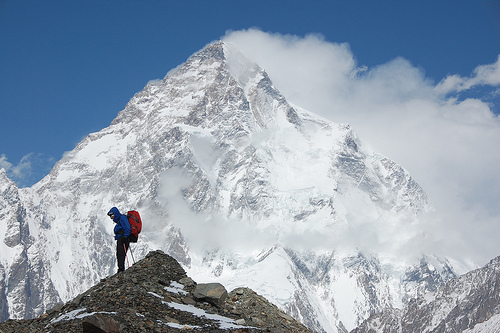 K2 has the second-highest fatality rate among the 8000m peaks and is thus known as the Savage Mountain. For every four people who have reached the summit, one has died trying. It’s one of the toughest high-altitude climbs in the world, bar none. When it was first climbed, British climbers Brown and Band honored the beliefs of the Sikkimese by stopping a few feet short of the actual summit. Most successful summit parties since have followed this tradition, paying homage to the holiness of the mountain. Best known for its proximity to Mount Everest, Lhotse is often seen as a minor 8000m peak due to its small topographic prominence from the South Col. Any climber bound for the traditional South Col route up Everest must climb the western flank of Lhotse, called the Lhotse Face. It’s a 1125m (3700ft) wall of glacial blue ice, rising at 40 and 50 degree pitches with the occasional 80 degree bulge. With K2, Makalu is probably the hardest 8000m mountain to climb. Notorious for its knife-edge ridges and steep, exposed ridges, Makalu is one of the most difficult climbs in the world. The final ascent of the summit pyramid, which has four sharp ridges, involves technical rock and ice climbing. 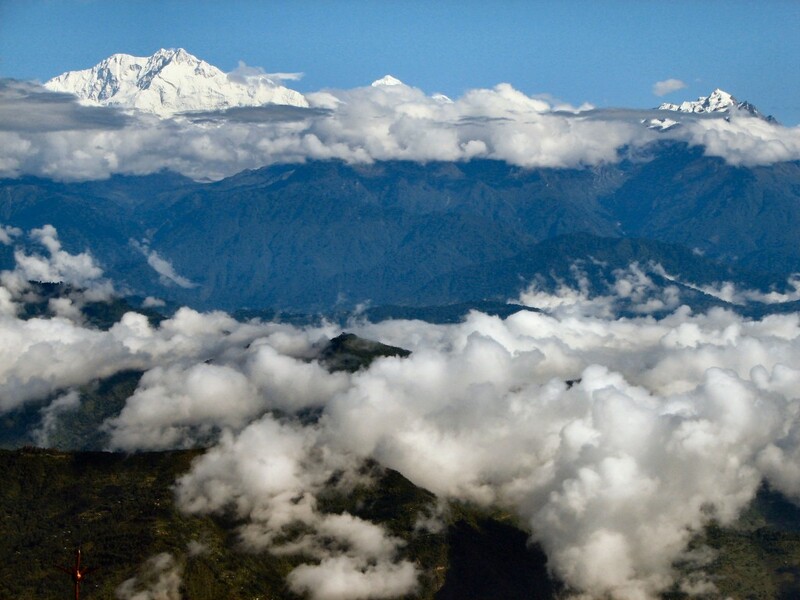 Unlike many of the other Himalayan massifs, Makalu stands alone. Close to Cho Oyu is Nangpa La, a glaciated pass that serves as the main trading route between Tibetans and Khumbu Sherpas. Because Cho Oyu’s standard northwest ridge route has moderate slopes and is situated close to a popular trekking route, it is often pinned as the easiest of the 8000m peaks to climb. From the plains of India, most 8000m peaks are obscured by nearer mountains. 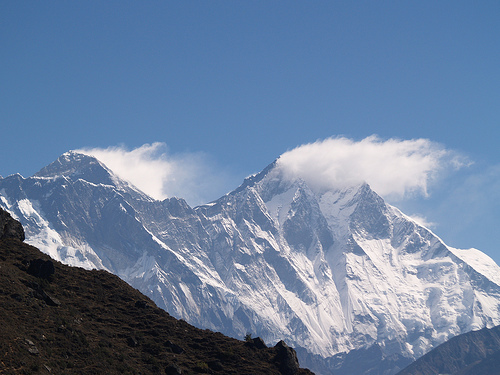 In clear weather, the Dhaulagiri massif’s thirty-mile crest can be spotted as far south as Gorakhpur in Uttar Pradesh. Many triangular peaks jut out above the crest, and below them a series of ice falls, glaciers and twisting ridges. Manaslu was first climbed by members of a Japanese expedition; it is said that “just as the British consider Everest their mountain, Manaslu has always been a Japanese mountain.” There are six established trekking routes to Manaslu. 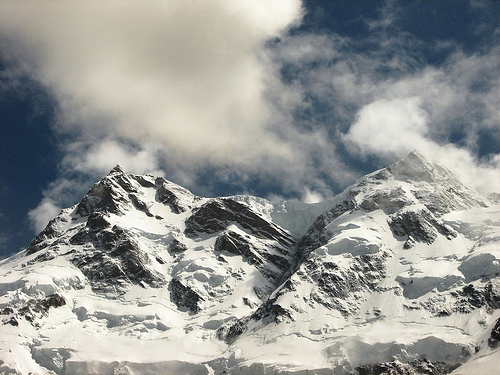 Nanga Parbat, or “Naked Mountain,” was the first 8000m peak to be attempted. In 1895, Albert F. Mummery lead an expedition through Kashmir to the mountain. In the end, Mummery and two Gurkha companions perished. Nanga Parbat also boasts what is often referred to as the highest mountain face in the world, the Rupal Face, rising 4600m (15,000ft) from its base. The Annapurna massif and surrounding area are protected by Nepal’s first and largest conservation area, home to the Annapurna Circuit, one of the most beautiful treks in the world. 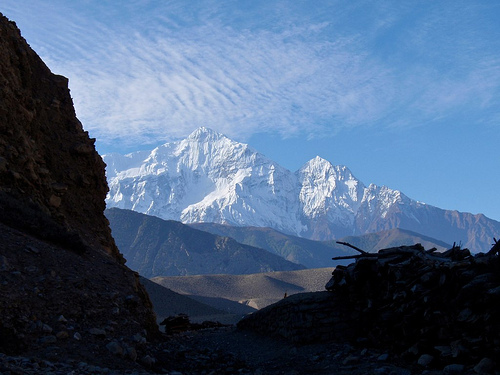 The Annapurna peaks are historically the most deadly of the 8000ers—it holds the highest fatality to summit ratio. 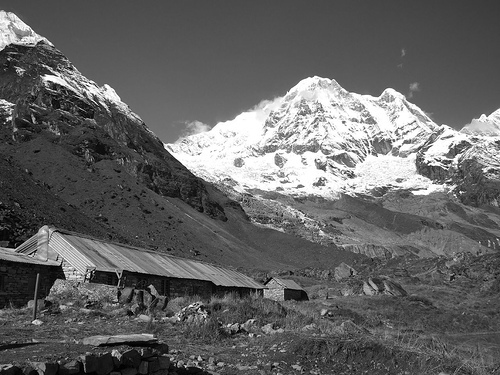 Annapurna was the first of the 8000m peaks to be climbed. Originally named K5 (the 5th peak of the Karakoram), Gasherbrum I’s alternate name is now Hidden Peak, due to its extreme remoteness. Three of the world’s highest peaks are located within the Gasherbrum massif. Broad Peak is located only five miles away from K2 and was originally called K3. Because its summit is over one mile long, it was renamed Broad Peak. A typical expedition up the southwest ridge of Gasherbrum II lasts seven to eight weeks. The climbing permit for a team of five climbers costs about $7500. 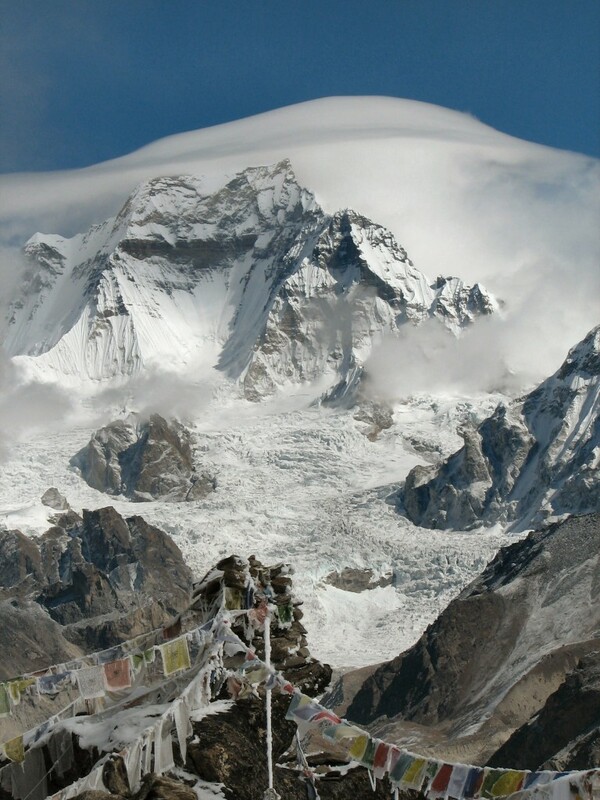 Shishapangma is located entirely within Tibet, and due to the historical restrictions imposed by Tibetan and Chinese authorities on foreign visits to the region, Shishapangma was the last 8000m peak to be climbed. 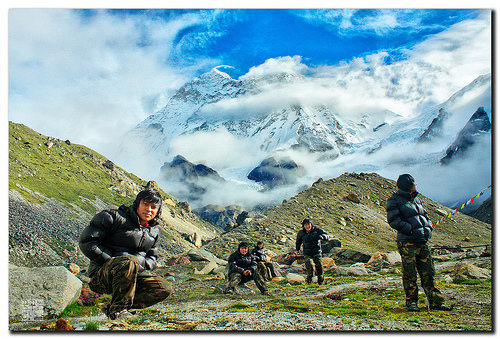 It is the only 8000m mountain entirely within Chinese territory. Perlman, I believe that your an “edger”. If you ever get out to Indiana I’ll buy you a coffee, a beer, or dinner and we can compare stories.